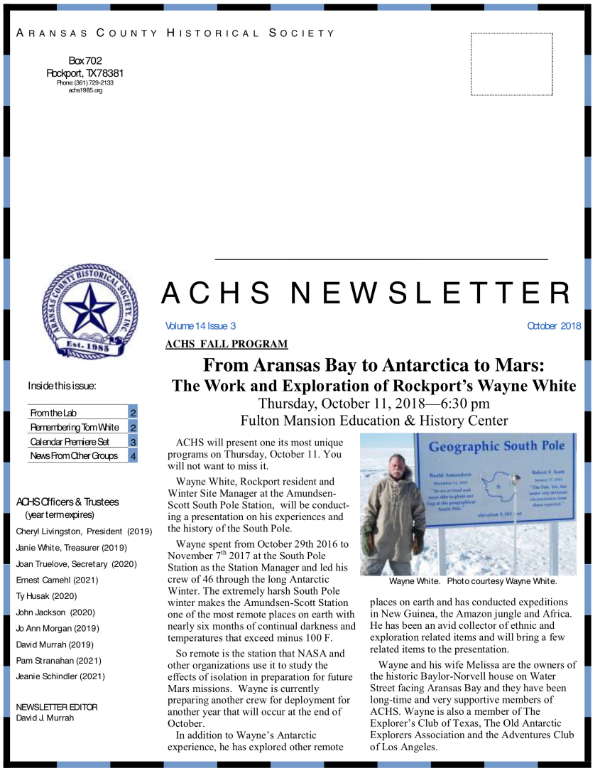 David Murrah has edited the newsletter for all but the first year and designed the current format. 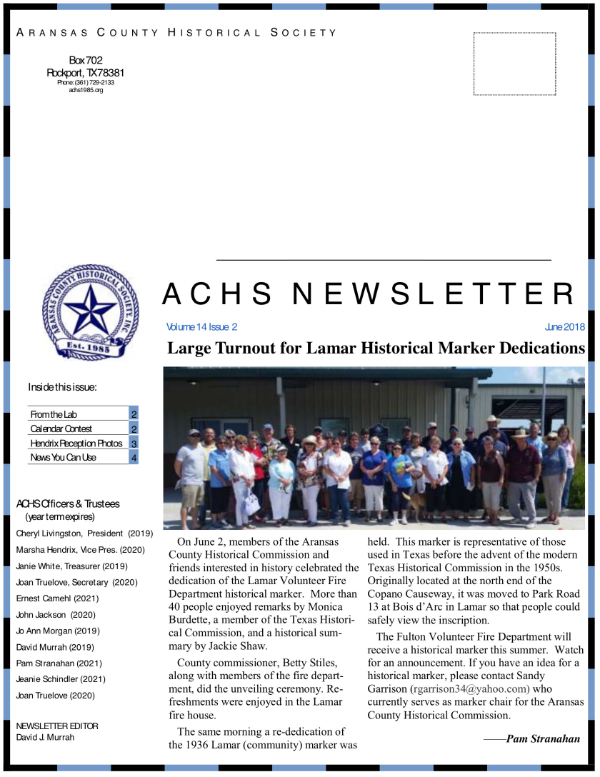 He has been on the ACHS board since February 2003, and is the longest serving member! 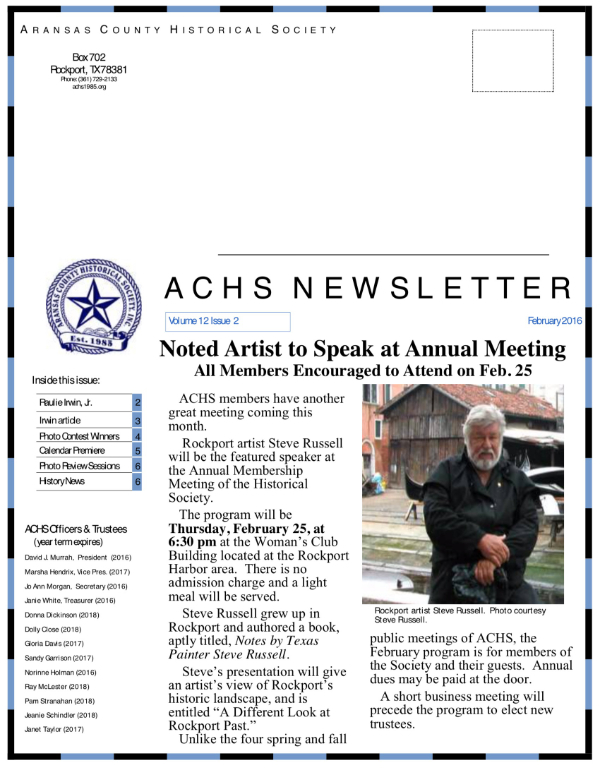 He and his wife Ann moved to Rockport in 2000, and sing in the choir at First United Methodist Church. David likes to fish, and he and Ann have now traveled to all 50 states and 34 countries. 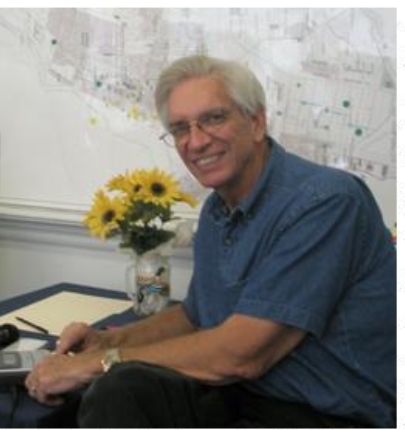 David holds a Ph.D. in history and is retired from Texas Tech University and Southwest Museum Service in Houston. He has written or edited six books related to Texas history and more than forty other publications. 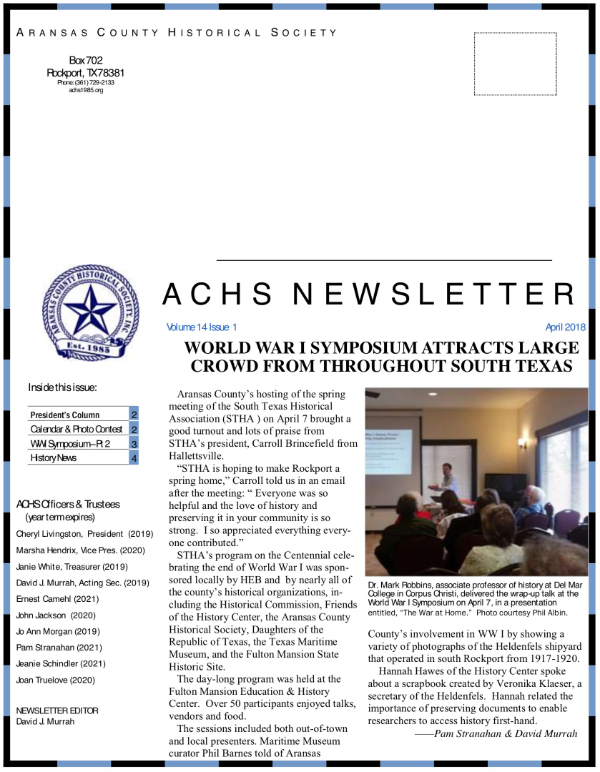 He is a Fellow of the Texas State Historical Association and a past president of the West Texas Historical Association and the Society of Southwest Archivists. 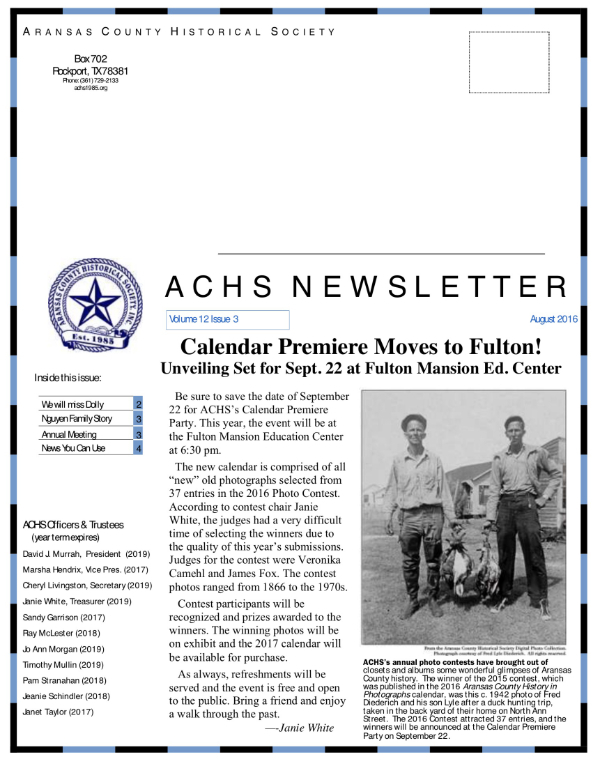 He has done a fabulous job of laying out and editing the ACHS newsletter! 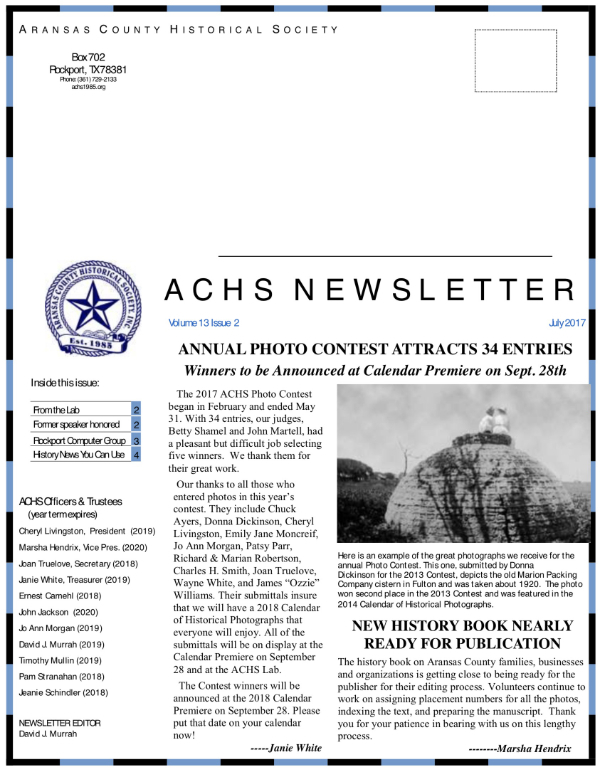 David has put out all of the publicity for the ACHS, which includes the newsletters, postcards about events, and ads in the newspaper. Thank you, David, we appreciate you very much! Kam Wagert is a former president of the ACHS and has described David and his contributions very well. 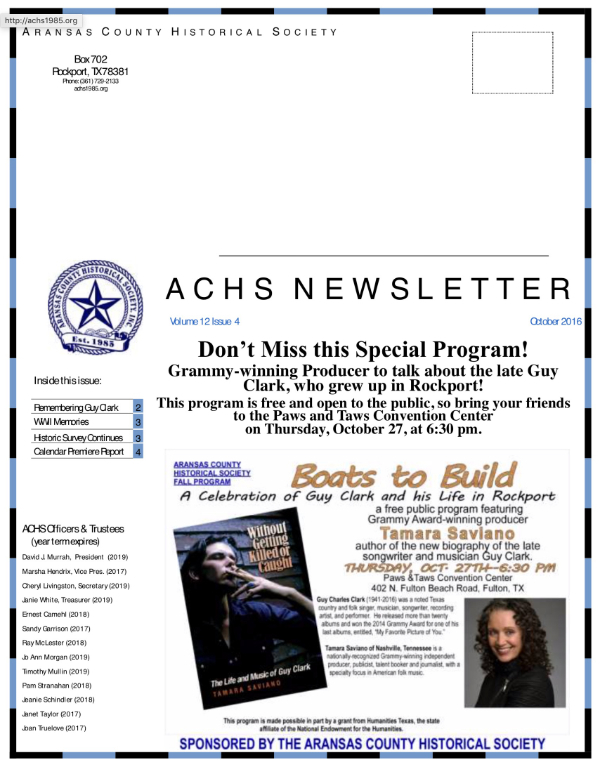 The picture of David was in the September 2009 issue where he was interviewing Carol Sparks for the Oral History Project and Kam’s heartfelt writing about him is from the 2013 March Issue of the newsletter. David does a very professional job with the work that he does for the ACHS. 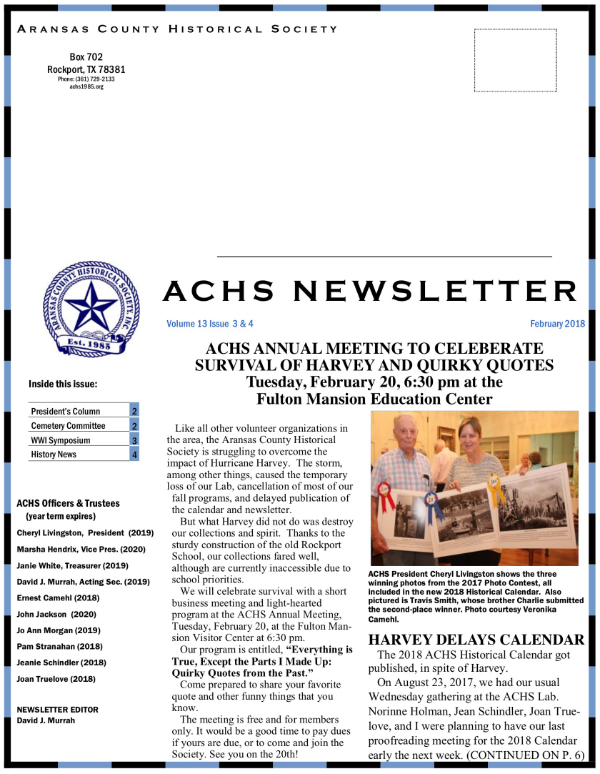 This web page is dedicated to the newsletter. 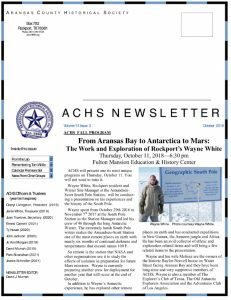 I will be posting new newsletters after giving subscribing members time to enjoy them. I’ll also try and go through back issues and showcase some articles, projects, and photographs that you might enjoy. 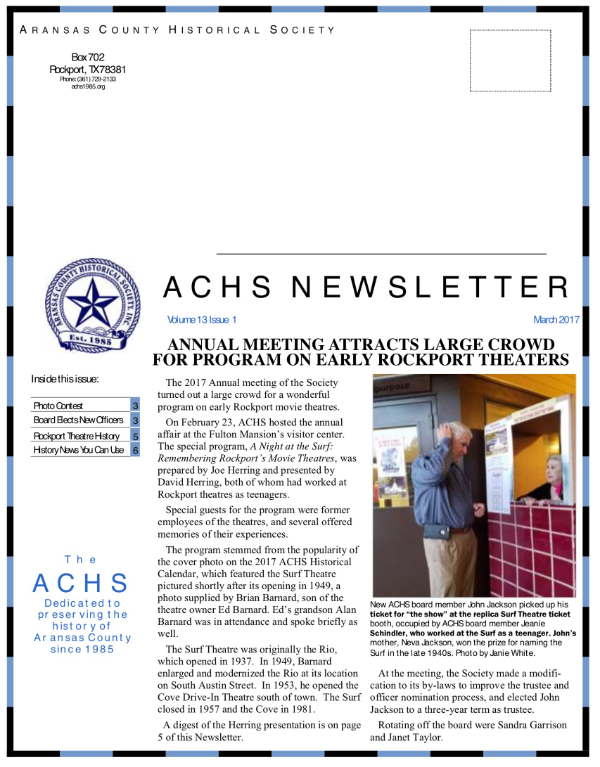 Past issues are available below, and maybe we can talk David into doing some things for the web site. I’m keeping my fingers crossed.